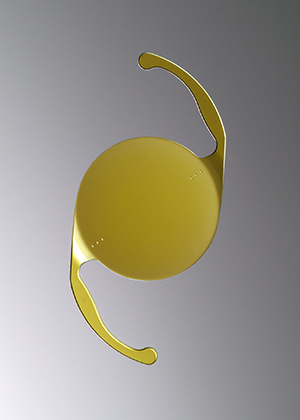 Toric lens implants are designed to correct astigmatism in cataract patients. Astigmatism causes blurred or impaired vision if the astigmatism is moderate or severe. The blurred vision is the result of the eye’s cornea having an irregular shape. A normal eye’s cornea and lens have a circular shape, while an eye with astigmatism has a longer oval shape. For cataract patients with pre-existing astigmatism, a Toric IOL implant could eliminate the need for prescription glasses after surgery, because a Toric IOL has the ability to correct both nearsightedness or farsightedness as well as astigmatism. Now with the advancement of the Lensx Laser, smaller amounts of astigmatism that would not require the use of a Toric lens implant can now be corrected with exquisite precision, leaving patients with enhanced distance vision. What would it be like to see at a distance without relying on eyeglasses or contact lenses? Mississippi Vision patients who have astigmatism and are candidates for cataract surgery have the option to have their astigmatism corrected with either a Toric lens implant or the LenSx® laser to help improve distance vision. Dr. William Aden, Dr. Brannon Aden, and Dr. Christopher Evans will discuss the options that are best for you.